Kimalluksella jatketaan tänäänkin, nyt kaulassa on ihan oikeat timantit, nimittäin kissan kaulalla! Enpä ole pitkään aikaan leimaillutkaan tällä Penny Blackin "Timantit ovat ikuisia"- kissaleimasimella. Tein samantien kaksi korttia, hyväksi havaitulla omalla mallilla. Hi! More bling today with Penny Black "Diamond are forever" cat on the tree stamp! 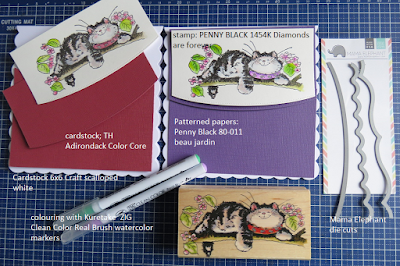 Reminding you about the Penny Black and more Challenge, "Feature a creature". You still have time to make an entry (with stamp). 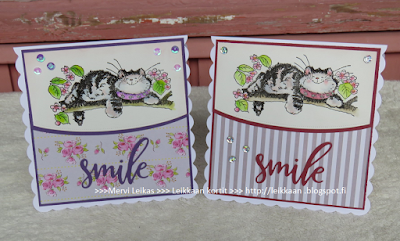 I made two cards, as I haven't use this stamp for a while! You may have seen the sketch earlier here, I found it to be quite popular. Love your Kitty lounging among the blossoms Mervi and nice design as well. How great is this he looks like he is enjoying himself thanks for linking up at Crafty Catz ATG don't for get we have a gdt call till mid day Thursday uk. Just love the design of these super cards, great image too. Back again love this card and thanks so much for sharing with Craft this week hope to see you back very soon. these are so sweet! 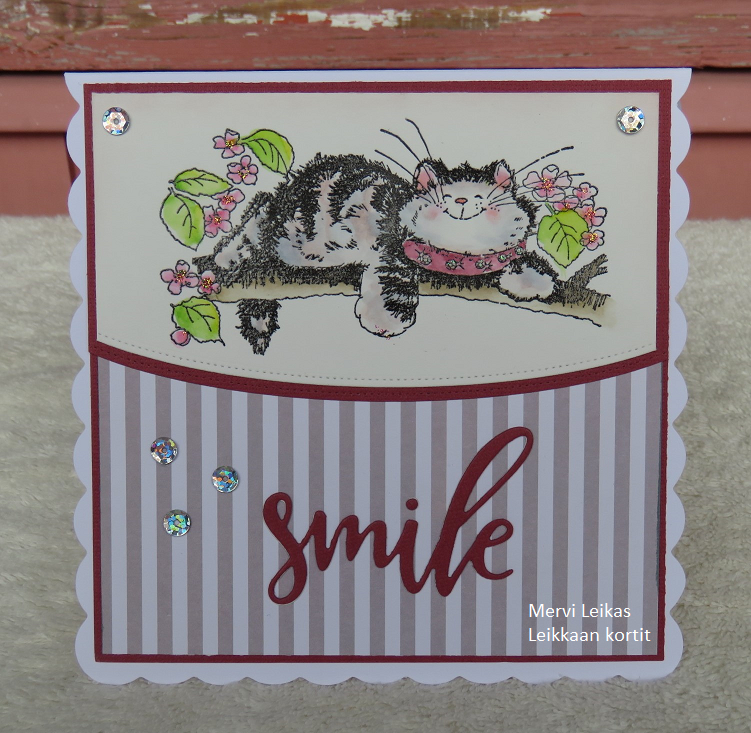 the smile sentiment perfectly suits the cute smiling cat! 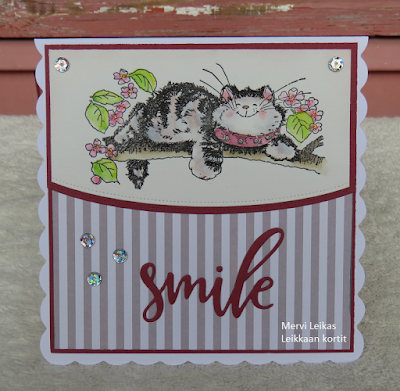 You always do different and wonderful layouts Mervi - these are fab. I love these Mervi, It's a great image and love your design too. 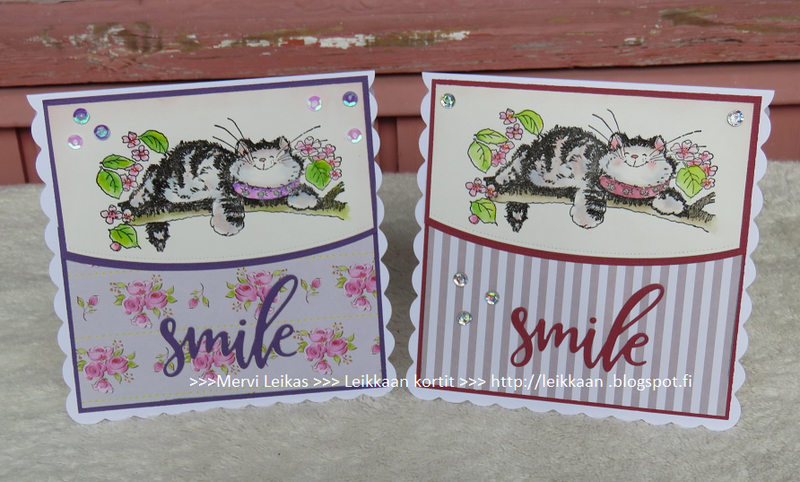 Cute cards!!! Love that cat stamp! Great colours - love the layout you've used. This card is delightful. 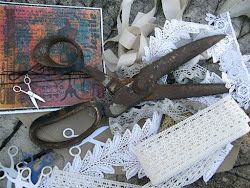 I love your scalloped border. Congratulations on your win over at 2 Crafty Critter Crazies.